You should be able to design the pie chart in the way YOU want. Unlimited possibilities with the Vizlib Pie Chart allow you to focus on what you are good at: creating compelling visualizations and dashboards without writing a single line of code. 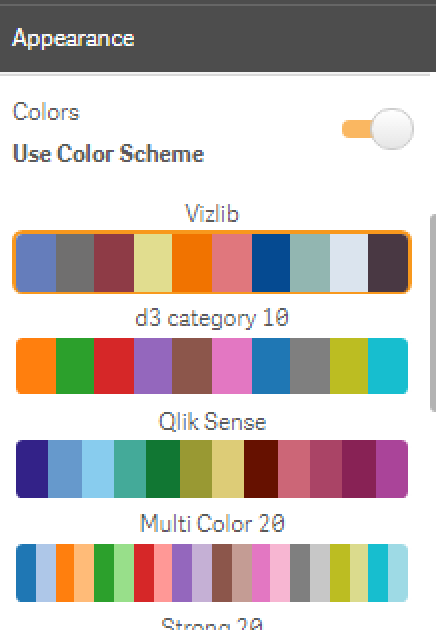 Open Qlik Sense and add the 'Vizlib Pie Chart' extension to a sheet. The Vizlib Pie Chart support only one dimension with multiple metrics. 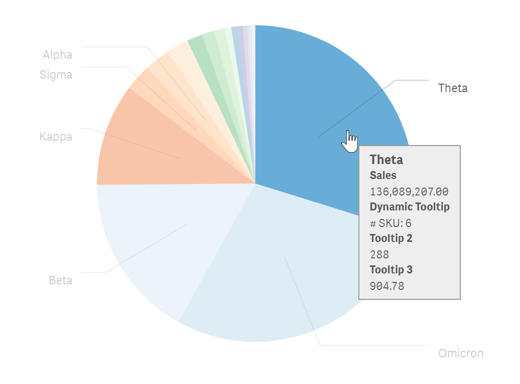 The Vizlib Pie Chart supports up to 50 metrics where each one will be added as a tooltip and the 1st one is also used to determine the slice size. 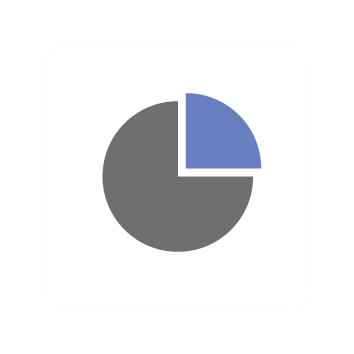 The Vizlib Pie Chart supports show zero values and a calculation condition. 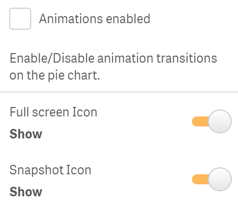 Group of properties to change the visual settings of the pie/donut. 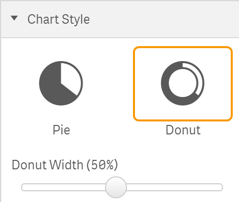 Donut Width: changes the thickness/width of the donut. When data points option is enabled, the value of the slices are being shown in the chart. The position and formatting of those data points can be determined in the section described below. Choose whether you want to show or hide data points. 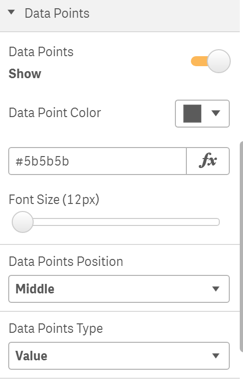 Font color of the data points. Font size of the data points. Position where the data points are being placed. Inside, places the data points in the center of the actual pie/donut. Middle, places the data points inside of the pie slices. Outside, places the data points outside of the pie slices. Determines wether the data point is a value or a percentage. Choose whether you want to show or hide the legend. Radial, adds labels connected to the slices through lines. Horizontal space between legend tiles. 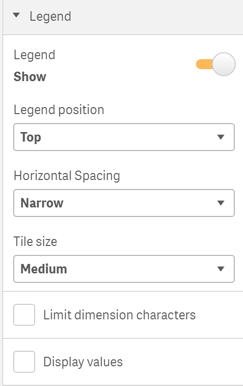 Limits the number of characters of the dimension labels on the legend area. Displays measure values next to the legend. Total value (sum) of the 1st measure of the chart. Also, a custom total option is available so a different value can be placed. Choose whether you want to show or hide the total. Top, total is being placed above the chart. Bottom, total is being placed bellow the chart. Center, total is being placed inside (center) of the cart. Actual, uses the aggregation (sum) of 1st measure as a total. 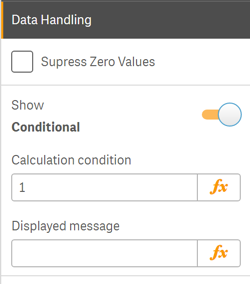 Custom, a measure (outside hypercube) can be set as a custom total. Font size of the total label. Font color of the total label. 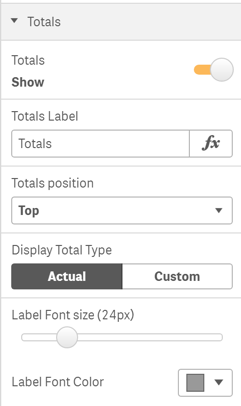 Font styling (bold, italic, strikethrough, underline) for the total label. Font size of total value. 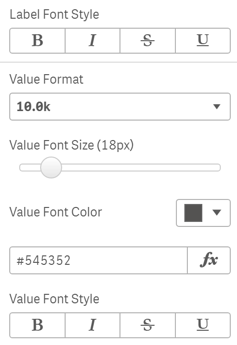 Font color of the total value. Font styling (bold, italic, strikethrough, underline) for the total value. Pick one of 8 available colors schemes to paint the collection of lines. You have got the freedom to choose your own collection of colors. This is particularly useful when you wish to be consistent with your corporate colors e.g.. Just specify a commma separated list of hex-colors (#4477aa,#7db8da,#b6d7ea,...) and Vizlib Pie Chart will loop through it and dynamically assign the colors to the lines. 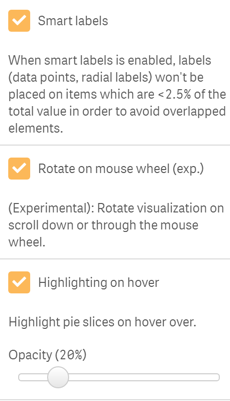 When a Color Scheme is utilised, you have the possibility to reverse the order of colors by activating this checkbox. Ability to change the opacity of the overall color scheme. 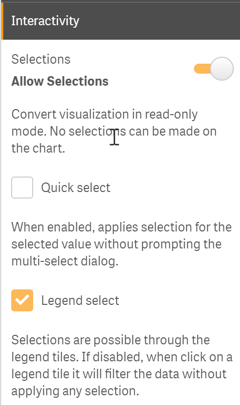 Fixed radial data label & legend overlapping when the legend is positioned at the top. Add formatting property to inherit the measure formatting for the totals value. Bug fix with tooltips not showing up in IE and FireFox. 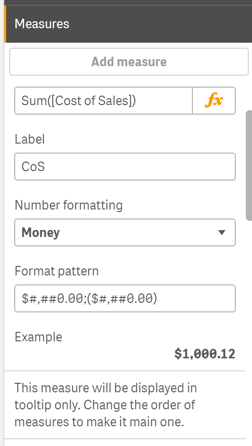 Added 'auto' formatting option for measures, so in the tooltip 16,000,000 is displayed as 16M.